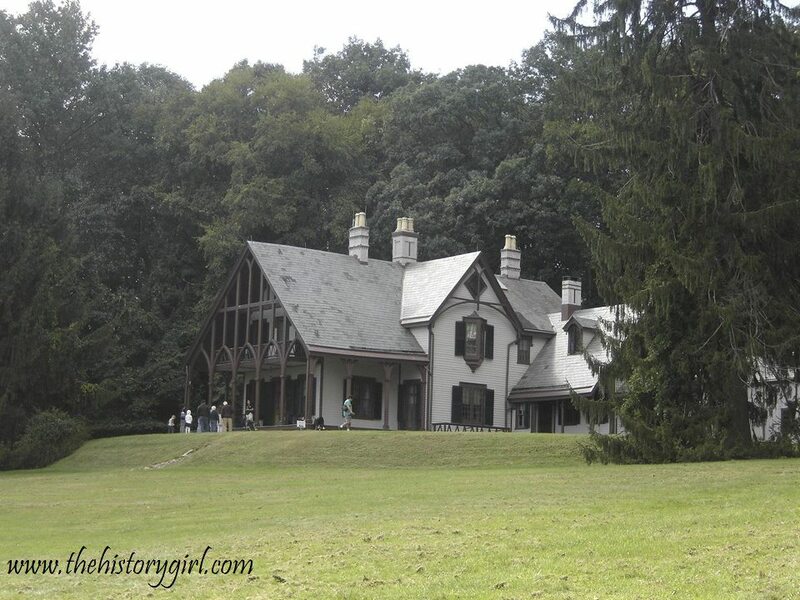 Weekend Historical Happenings: 10/18/14 - 10/19/14 ~ The History Girl! The Hudson County History Advocates are hosting a local celebration of New Jersey’s 350th anniversary year with the 2014 Hudson County History Fair on Saturday from 10:00 am - 4:00 pm, at New Jersey City University. With the theme “Where New Jersey History Began,” the fair will offer a full day of fun for the whole family, with treasure hunts for kids, plus documentary films, workshops and talks by NJ authors and historians. The Fair will take place in the Gilligan Student Union Building’s multipurpose room at 2039 Kennedy Boulevard. Admission is free and free parking is available (entrance on Culver Avenue, just off JFK Boulevard). During the day, keynote presentations by three well-known authors will be presented on local history. Holly Metz will discuss her award winning book, Killing the Poormaster, about the murder of the Hoboken Poormaster during the 1930s Depression; Steve Hart, will discuss his new book, American Dictators: Frank Hague, Nucky Johnson, and the Perfection of the Urban Political Machine; and John Gomez will discuss his book, Legendary Locals of Jersey City, which outlines the efforts of local community advocates over the last two hundred years. During the day, talks will be given in various meeting rooms in the Student Center. Cynthia Harris, manager of the New Jersey Room of the Jersey City Free Public Library will give a talk on “Hudson County in Vintage Postcards” showing images of our area from the past. Joseph G. Bilby, noted New Jersey author, will offer a presentation from his bestselling book co-authored by Jim Madden and Harry Ziegler, 350 Years of New Jersey History, From Stuyvesant to Sandy, which will cover highlights and personalities from New Jersey history. Neal Brunson, local attorney and Director of the Afro-American Historical Society Museum of Jersey City, will discuss the African Community in the 1664 settlement of Bergen. Finally, the Hudson County Genealogical & Historical Society will offer “Ask Granny”, a basic class on genealogical research which may get you started on the exploration of your own roots. At another part of the Fair the Bayonne Historical Society and the Hoboken Historical Museum will be sponsoring three local professional appraisers, Bob West, Leslie Levine, and Mackey Blue Antiques, to provide free appraiser of attendees collectible, so be sure be bring yours along to see if you may have a hidden fortune in your home. For more information a full schedule of events, visit www.hchistoryadvocates.org. Throughout the day (10:00 am - 4:00 pm), visitors off all ages can help the blacksmith by turning the crank of his forge blower, adding coal to the fire, and carrying water needed for cooling hot steel. The smithies’ hooks, initialed horseshoes and other items will be for sale. In the barn, farm farriers will be shoeing the farm’s work horses and checking their feet. On Saturday, bring the entire family to the Allen House for a day of fun! From 1:00 - 4:00 pm, tour the Allen House (circa 1710) and then venture outside under the Big Top for historic and modern games, crafts, and activities. Free admission! Will be held rain or shine. The Allen House is located at 400 Sycamore Avenue, Shrewsbury, NJ. For more information, call 732-462-1466 or visit www.monmouthhistory.org. On Saturday, take a closer look at the Carriage House at Fosterfields Living Historical Farm and its contents, including the bridles and bits, harnesses, sidesaddles, and carriages. Discover its relationship with the horse barn that was located nearby. Program runs from 2:00 - 2:30 pm. Admission: $6/adult, $5/senior (65+), $4/child (ages 4 -16), $2/child (2 and 3). FREE for children under age 2 and Friends members, with a current membership card. Fosterfields Living Historical Farm is located at 73 Kahdena Road, Morristown, NJ. For more information, call 973-326-7645 or visit www.morrisparks.net. Continuing the series of programs entitled "Images of Somerville's Past," James L. Sommerville, III, Adult Services Librarian, will present the fourth program in this series, "Images of Somerville's Past IV: An overview of Commerce and Finance," with the residences of business leaders, in the regional center from 1883 through 1984 on Saturday from 3:00 - 5:00 pm at the Somerville Public Library branch of the Somerset County Library System, 35 West End Avenue, Somerville. Derived from business-specific scans of images in the Somerville Library archives, Somerset Messenger-Gazette almanacs from 1883 - 1900, data from selected Somerville City and other Directories from 1899 through 1984, and resources assembled over time, the program's goal is to enlighten and entertain patrons concerning the deep history of their town. For more information, call 908-725-1336 ext. 10 or visit www.sclsnj.org. 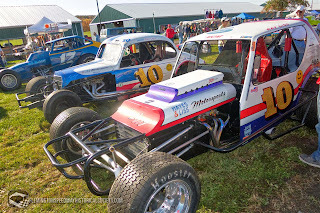 The Flemington Speedway Historical Society's 4th Annual Car Show takes place on Saturday from 9:00 am - 7:00 pm at the Hunterdon County Fairgrounds, Lambertville, NJ, located on Route 179 near its junction with Route 202. More than 700 automobiles were displayed last year. All types of vehicles are being actively sought by the event organizers, whose goal is to have 1,000 in 2014. Antique, custom, hot rod, and new cars, vintage and modern race cars, small and large trucks, motorcycles, emergency response equipment, military vehicles, tractors and farm equipment - all are welcome. Bradshaw Awards of Flemington has produced fifteen People’s Choice and five Lentini Auto Salvage Recognition awards which will be presented in a drive-through awards ceremony at 2:30 pm. Following the award presentations, Jersey Jerky (“America’s Best Damn Beef Jerky”) will resurrect an old Flemington Fair Speedway tradition: “Purple Night,” a promotion originally conceived by the recently departed flamboyant Flemington Fair President, Paul Kuhl. "Suckerpunch Suzie,” a popular local party band will perform. Purple Night is highlighted by a Flemington Speedway-themed purple costume contest. Three winners will each receive a trophy and $50, the top fifteen participants will each get a T-shirt and a package of America’s Best Damn Beef Jerky: Jersey Jerky. Spectator Admission is $10.00 per carload, with no additional fee for parking. 2014 Car Show apparel and Flemington Speedway souvenirs will be available for purchase at the FSHS display and information center. No alcohol or pets are permitted. For more information, visit flemingtonspeedwayhistoricalsociety.com. On Saturday, 200 members of the Brigade of the American Revolution will reenact the Battle of Connecticut Farms at 2:30 pm. The "fighting" will take place where it actually occurred historically (on June 7, 1780) - in front of Connecticut Farms Presbyterian Church, 888 Stuyvesant Avenue (corner of West Chestnut), Union, NJ. Following the reenactment, the Church and its adjoining cemetery will be open to the public, thanks to the graciousness of the Connecticut Farms Presbyterian Church community. The cemetery contains a mass grave of British and Hessian troops, as well as grave stones dating back to the early 1700s. This reenactment by two hundred soldiers of the Brigade of the American Revolution is part of the 350th Anniversary of Elizabethtown and New Jersey and is made possible in part through a "Heart" Grant from the Union County Board of Chosen Freeholders. Washington lamented that the women and children of the Continental Army - the families of the soldiers - slowed down the army on the march but he knew that many had nowhere else to go. They often got jobs with the military performing essential tasks needed to keep the army going. Learn about the surprising roles that women and children played in the life of the Continental Army. Program runs from 12:00 noon - 4:00 pm at the Soldier Huts in Jockey Hollow, within Morristown National Historical Park. Cost: Free. For more information, call 973-543-4030 or visit www.nps.gov/morr. Spend Saturday at the Cross Estate enjoying the beauty of the fall garden in the early 20th century walled formal garden, and surrounding grounds of the Mansion including a magnificent water tower built in 1905. Learn what to plant in the fall and how to get a garden ready for winter with demonstrations on tool cleaning and sharpening, bulb planting, and cutting down and dividing perennials. Garden tours will be available. Get your hands dirty or just take photos! Fun learning experience for the entire family. 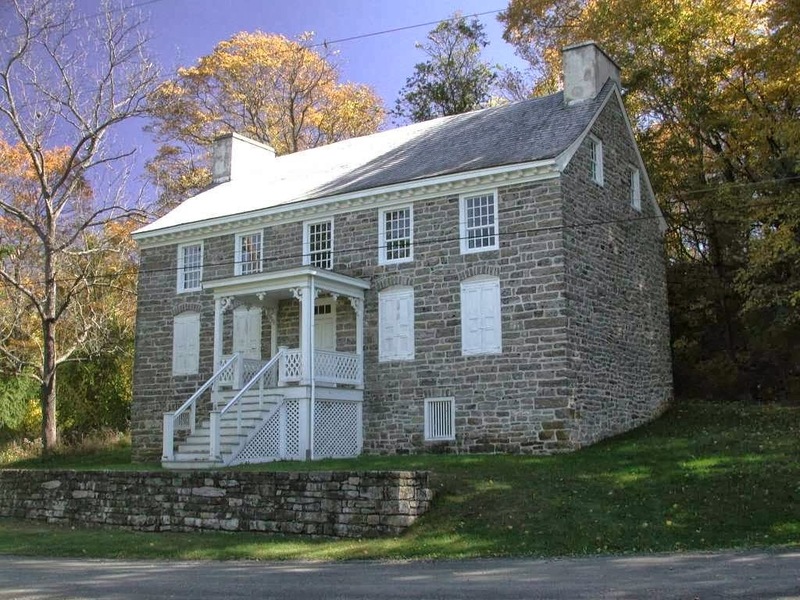 The program runs from 10:00 am - 12:00 noon at the Cross Estate, site of the New Jersey Brigade Unit of Morristown National Historical Park, at 61 Jockey Hollow Road, Bernardsville, NJ. Cost: Free. For more information, call 973-543-4030 or visit www.crossestategardens.org or www.nps.gov/morr. It's the spookiest time of the year at the village! Celebrate all things Halloween and autumn at the 23rd Annual Pumpkin Festival. This fun, free event will take place on the grounds of Historic Cold Spring Village on Saturday from 10:00 am - 4:30 pm (Rain date: Sunday, October 20) and is presented by the Lower Township Rotary Club. Admission is free; guests are encouraged to donate non-perishable goods to the 'Share the Harvest' Food Drive. Families can enjoy pumpkin painting and games throughout the day. A variety of crafters will sell their wares along the Village’s shell-paved lanes. Vendors will be selling hot dogs, funnel cake, and other snacks. Visit a haunted house at the Village Barn and hop on a fall hayride through the farm. Don't miss the Children's Halloween Parade at 12:00 noon. Please call the Lower Township Recreation Department at 609-886-7880 for parade registration information. Stop by the Gandy Farmstead in Upper Township, NJ on Saturday for their annual AppleFest from 10:00 am - 4:00 pm. There will be an Apple Pie Baking Contest judged by 'Johnny Appleseed' and Tyson Merryman, owner-operator of the Tuckahoe Inn. There are separate contests for children and adults. Ribbons and prizes will be awarded. In honor of the 70th anniversary of D-Day, there will be WWII living history displays. Crafters will be demonstrating old-time traditions with a modern twist. The blacksmith will make decorative items; as will the decoy carvers. At the smoke house, enjoy meat prepared for today's tastes. An alpaca farmer will show how the fleece goes from animal to wool; and a spinner will demonstrate how the wool becomes yarn. Rag-rug making and bee keeping also will be shown. And don't forget live music, apple and autumn inspired food to eat or take home, and the old farm house to tour. Admission and parking a free. The Gandy Farmstead is located at 26 Tyler Road in Greenfield, NJ. For more information, call 609-390-5656 or visit www.uppertwphistory.org. On Saturday, the Archaeological Society of New Jersey will be meeting at Feltville/The Deserted Village, located in the Watchung Reservation, 9 Cataract Hollow Road, Berkeley Heights, NJ. The meeting is free and open to the public. For more information, contact Ilene at ilenebailey36@gmail.com. *10:00 am - 12:00 noon: Walking Tour of Feltville/The Deserted Village led by Archaeologist Matt Tomaso. Meet at the parking lot on Glenside Ave.
*3:15 - 3:45 pm: An Archaeological Discovery of a Woodland Period Site in Gloucester City, Camden County, presented by Adam Heinrich. The tours will take place at Chestnut Hill Cemetery on Old Bridge Turnpike in East Brunswick, NJ between 5:30 and 8:00 pm. Admission fees for this special event are $8.00 for adults and $2.00 for children under 12 years of age. Free parking. It is recommended that you bring your own flashlight. Since this event takes place in a hilly cemetery, it is not recommended for persons with walking problems or for strollers. This is a family-friendly event and children are encouraged. For more information, call 732-257-1508 or visit www.eastbrunswickmuseum.org. Join the excitement and experience the final invasion of New Jersey in 1780 with the Brigade of the American Revolution! Be a part of history as you watch British and American soldiers in the military campaign that became the true turning point of the Revolutionary War! The Brigade of the American Revolution will be encamped on the grounds of Liberty Hall Museum on Saturday and Sunday from 10:00 am - 5:00 pm. Admission to the event is free. Liberty Hall Museum is located at 1003 Morris Avenue, Union, NJ. For more information, call 908-527-0400 or visit www.goelizabethnj.com/350. Begin the Challenge at any of the eleven participating lighthouses, one museum, and two life-saving stations. Night climbs will be offered at Absecon, Cape May, Sandy Hook, Tinicum, and Tucker's Island Light at Tuckerton Seaport. During the weekend, children 11 and under climb free with an adult. Hours of operation for every participating lighthouse can be found at www.lighthousechallengenj.org. The Matawan Historical Society in conjunction with Rose Hill Cemetery is sponsoring its fourth annual guided walking tour of Rose Hill Cemetery in Matawan, including new stories! 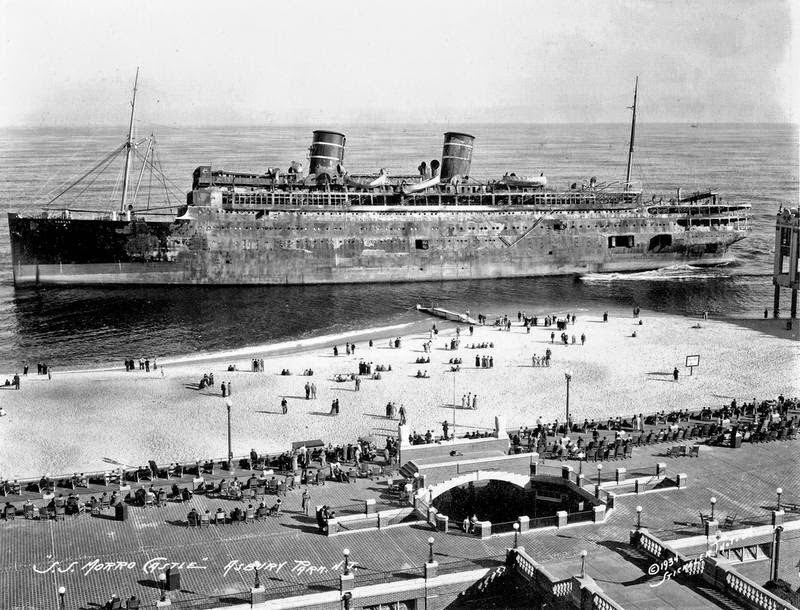 Local Historian Al Savolaine will lead the tours, sharing fascinating stories about those buried in the cemetery, including the victims of the Great Matawan fire of 1901, an 1896 gruesome murder, the 1916 shark attack in Matawan, as well as some unusual ghost sightings at the cemetery, considered to be one of the most haunted sites in New Jersey. Tours will be held on Saturday at 10:00 am and Sunday at 2:00 pm. Tours are approximately two hours long. Tickets are $10 per adult, with proceeds benefitting the Burrowes Mansion in Matawan and the beautification of Rose Hill Cemetery. Rose Hill Cemetery is located on Ravine Drive in Matawan. Parking will be available at the cemetery and at the school lot across the street. Tickets can be purchased the day of the tour or by contacting savolaine@hotmail.com. Experience Union County's rich heritage! The Union County Board of Chosen Freeholders, staff, and volunteers at 26 house museums, historic sites, and history organizations join together to invite the public to come and discover nearly 350 years of history during the annual "Four Centuries in a Weekend, A Journey Through Union County's History." The Historic Fanwood Train Station Museum and Westfield's Reeve History & Cultural Resource Center have been added to the weekend event, increasing the number of sites on tour to 26. The two-day, free event is scheduled for 10:00 am - 5:00 pm on Saturday and Sunday, 12:00 noon - 5:00 pm. Liberty Hall Museum will be host to the Union Brigade of the American Revolution Encampment: Liberty Hall Museum will travel back in time as it hosts the Brigade of the American Revolution. Reenactment of the Battle of Springfield at Meisel Avenue Park in Springfield. At the Oswald J. Nitschke House, operated by the Kenilworth Historical Society, meet James Wallace Higgins (portrayed by a historic interpreter), who designed the first Master Plan for “New Orange” (c.1894), later renamed Kenilworth. At the Dr. William Robinson Plantation Museum in Clark, the Red Storm Drum & Dance Troupe will be performing - they are historians, dancers, drummers, dancers, flute players, storytellers, and educators of Native American Indian culture. At the Deacon Andrew Hetfield House in Mountainside, renowned collector of Thomas Edison artifacts, Charlie Hummel, will be on-hand with many of his original Thomas Edison inventions and personal items including phonographs, handwritten letters, light bulbs, personal walking cane and more. Journey on to Boxwood Hall in Elizabeth, the 1772 home of Elias Boudinot, President of the Continental Congress; tour the restored Revolutionary War burial grounds at the First Presbyterian Church of Elizabeth, the oldest English-speaking congregation in New Jersey; and visit the Caldwell Parsonage at Connecticut Farms in Union, an American Revolutionary site that was home to the "Fighting Parson," James Caldwell and his wife, Hannah. Children can earn a Time Traveler's Certificate and a Four Centuries Patch by visiting and obtaining a Time Traveler Passport at any of the sites, having it stamped and returning the completed form to the Union County Office of Cultural and Heritage Affairs. For free copies of the Four Centuries in a Weekend tour booklet, map and further information visit http://ucnj.org/cultural-and-heritage-affairs/four-centuries. The Historical Society of Plainfield will participate in Union County's "Four Centuries in a Weekend, Celebrating New Jersey's 350th Birthday, 1664-2014," on Saturday from 10:00 am - 5:00 pm and Sunday from 12:00 noon - 5:00 pm. The Drake House Museum is among the 27 Union County historic sites on tour that will celebrate memorable moments in New Jersey history. There will be a special exhibit at the Drake House Museum, entitled "Sousa's Historic Concert in Plainfield - 1892." In 1892, John Philip Sousa left the command of the United States Marine Band and formed his own professional concert band. The band made its public debut at the Stillman Music Hall, 216 West Front Street, Plainfield, NJ, on Monday, September 26, 1892. Sousa then toured North America and the world as "The March King" for the next forty years playing over 15,000 concerts. Sousa and His Band brought music to the people, and Sousa's Band became the model for the growth of community concert bands, high school bands and music education throughout America. He was also a prolific composer, probably best known today for writing "Stars and Stripes Forever." The exhibit will be on display in the second floor ballroom of the Drake House Museum, and on Sunday at 1:00 pm, the PAAAS Wind Ensemble under the direction of Gregory O. Williams will play patriotic musical selections. PAAAS (Plainfield Academy for the Arts and Advanced Studies) is Plainfield's own performing arts incubator. All students who visit the Drake House Museum during the Four Centuries in a Weekend celebration will receive a special Sousa "The March King" activity sheet. Please join us in learning about New Jersey and Plainfield history. Self-guided tours will be available anytime on Saturday from 10:00 am - 5:00 pm and Sunday from 12:00 noon - 5:00 pm. For more information, call 908-755-5831 or visit www.drakehousemuseumplainfieldnj.org. On Sunday at Walnford, meet Independent Act, known as "Indy" to his friends, a retired trotter. Learn about the beauty, conformation, and intelligence of the standardbred horse. See the historical images of trotters and pacers on exhibit in "The Story of Harness Racing by Currier and Ives" on display in the main house. Admission and parking are free. On Sunday at the Mahwah Public Library, Neill Hartley will portray Washington Irving, the father of the American short story, bringing you into Irving's world, introducing you to his work, "The Legend of Sleepy Hollow," the most famous short story ever written. The literary lion narrates his tale and then enters his story, becoming his alter ego, Ichabod Crane. Neill Hartley is a mesmerizing Ichabod Crane: Tall and slim like Ichabod, Neill was also born in upstate New York like Ichabod, teaches voice like Ichabod and rides horses like Ichabod. It's perfect casting. And it makes for a perfectly eerie entertaining event. This program is free and open to the public. The Mahwah Public Library is located at 100 Ridge Road, Mahwah, NJ. For more information, call 201-529-7323. Enjoy a great day for Halloween Celebrations at the "Not So Scary Halloween Party" at the DAR Elias Van Bunschooten Museum, 1097 Rt. 23, Wantage, New Jersey on Sunday at 1:00 pm. Rain date is Sunday, October 26. Admission is $6 per child (no charge for adults). Pumpkins, hay maze, fun activities, games, prizes, a haunted barn for kids that like a little spook, a costume contest, food for sale, and much more! This event is even suited for young children. For recommended advanced registration (family name, number of kids and ages) or more information, please call 973-948-5299 or e-mail melaniej@ptd.net. The Chinkchewunska Chapter of the DAR preserves and restores the house and outbuildings on our property as a living reminder of Sussex County history from the late 1700s to the present. They open their doors mid-May through mid-October for tours on Thursdays and Saturdays in addition to school and group tours by appointment, and host special events throughout the year. On Sunday from 11:00 am - 5:00 pm, Macculloch Hall Historical Museum in Morristown, NJ presents its second biennial Historic District House Tour, sponsored by Millea Bros. Auctions+Appraisals. Participants will have the opportunity to visit eight historic properties - seven private homes and 1810 Macculloch Hall - in one of Morristown's most prestigious Historic Districts, all within walking distance. Tickets are available online at www.maccullochhall.org, $40 in advance. On Sunday, tickets will be available only at the Museum ($45 for event-day sales). Funds raised from the tour help support the Museum's operations, its public and educational programs, and the preservation and maintenance of its historic building and grounds. Additional information about the Historic District House Tour is available on their web site. 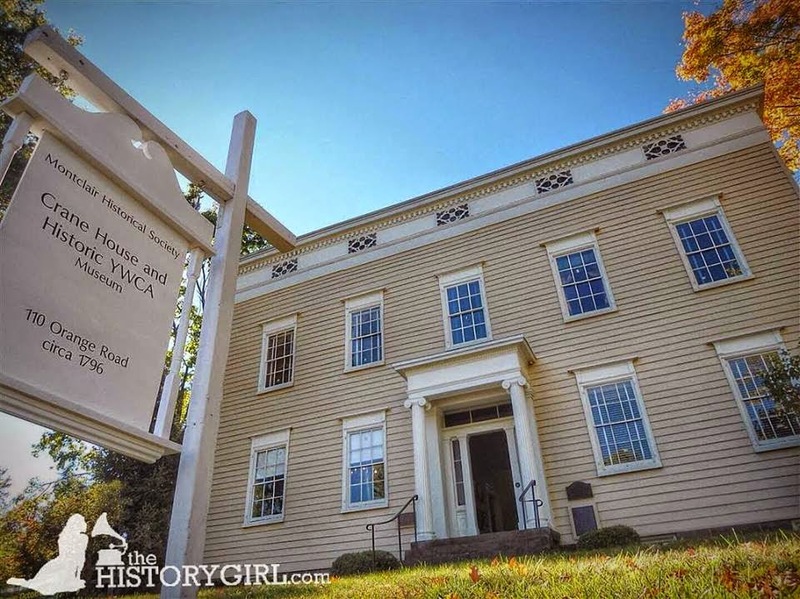 Macculloch Hall Historical Museum preserves the history of the Macculloch-Miller families, the Morris area community, and the legacy of its founder W. Parson Todd through its historic site, collections, exhibits, and educational and cultural programs. The Museum is open for house and exhibit tours on Wednesdays, Thursdays, and Sundays from 1:00 - 4:00 pm. Adults $8; seniors, and students $6; Children 6-12 $4; members and children under 5 are free. For more information, call 973-538-2404 ext. 10 or visit www.maccullochhall.org. On Sunday, follow the arrow right to the Fall Family Fun Day at the Montclair Historical Society's 108 Orange Road site. *1:00 - 2:00 pm: Honey Harvest demonstrations at the gazebo - it will BEE delicious (and honey will be for sale). *2:00 - 3:00 pm: Lenape Culture - An Introduction to American Indian Life in NJ - a hands-on program led by Beverly A. Friend, of Cherokee heritage/American Indian Council of NJ. *Hearth-ful Cooking: Vital Restaurant’s Executive Chef/Owner Kwame Williams + open hearth + Montclair Community Farm produce = modern cooing with historic twist. *Tour the Montclair Community Farms site: feed the chickens! *Tour the Israel Crane House and Historic YWCA: newly reinterpreted to reflect the house’s significance from 1796 to 1965! Regular admission applies (see below) - Free admission for members. Admission to tour the Israel Crane House: $8 per adult and $5 per child for both properties with same day admission. Or come as a family (1 or 2 adults with up to 3 children) for $25. Free admission for members! The Charles Shultz House will be closed this day. For more information, call 973-744-1796, e-mail mail@montclairhistorical.org, or visit www.montclairhistorical.org. On Sunday, the Ocean Township Historical Museum will hold its sixth annual History Ghost Walk, featuring spirits from the Township's past who will "return" to fill us in on times long gone. This year ghosts tell tales of some of the Township's most interesting residences and bring the museum's newest exhibit ("The History of Houses") to life. The walk begins at 5:30 pm. The actors portraying our ghosts include talented amateurs (many students) and a few professionals. They have studied the history they "channel" and deliver performances that both delight and inform. Some are stationed along the outside walk; others perform at a party inside. 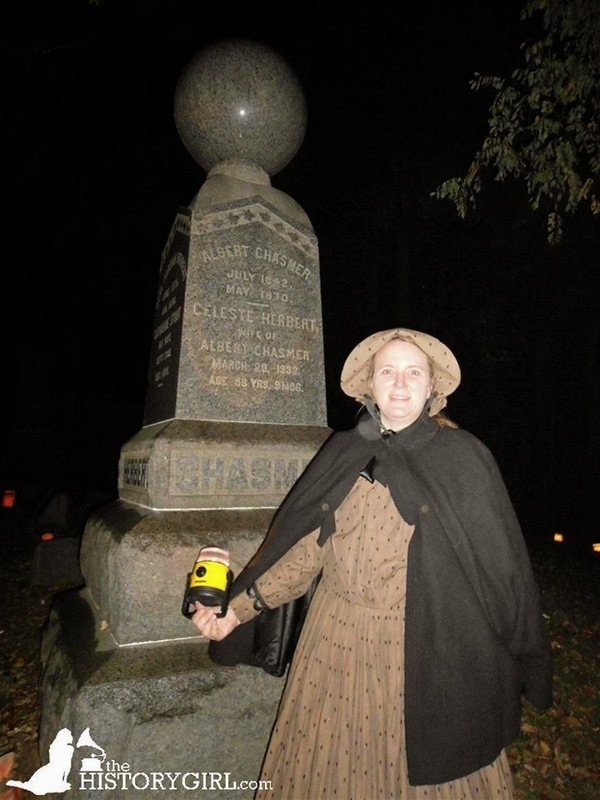 It is a ghost walk designed to delight, not fright--and well, yes, to share some history, too. The event has two parts. 1) Outside, guests are guided along the path east of the Woolley House to meet and interact with the first group of this year's spirits. Here's a sampling: The young Woolley sisters, Eden's daughters, "come back" to tell of growing up in the Woolley House in 19th century Ocean Township. Then there's Thomas Potter, one of the Township's founding fathers, materializes to talk about his first "home" here - a cave dug into a stream bed in the 17th century! 2) Inside, Ghost Walk guests join a party in the former Haupt family mansion (now the Library's Terner Gallery). Here they get a glimpse of the glamorous lives of the wealthy Haupts, owners from 1931 to 1964 of the 40-plus-acre Stucile Farm where the Museum, Township Library, and Human Resources building stand today. The Haupts entertained the rich and famous of their day. Our ghosts bring imagined highlights of their parties to life. Hal Wallis, famed Hollywood producer, was a family friend and frequent guest. Our party features a fantasy sequence with two of his most memorable stars - the charismatic Dean Martin and the very young Elvis! The fun ends with a nostalgic look back on life at Stucile Farm--and tasty refreshments for all. The Ghost Walk is known to sell out. Call the museum at 732-531-2136 to make your reservation. Come shop at Museum Store, enjoy free refreshments, and spend a fun and informative Sunday afternoon. Tickets are $7 for adults, $5 for children. Rain date is Sunday, October 26. The Terner Gallery, in the Ocean Township Library, is located at 701 Deal Road, Ocean, NJ. For more information and to register, call 732-531-2136 or visit www.oceanmuseum.org. The Batsto Citizens Committee, Inc. will hold its Annual Country Living Fair at Historic Batsto Village in Wharton State Forest on Sunday from 10:00 am to 4:00 pm. There will be no admission and no parking fee. The committee has invited over 100 exhibitors to participate in this quality day-long event. Visitors will have an opportunity to see and purchase a variety of country, Colonial and Victorian crafts. They will also be able to meet talented crafters demonstrating their artistry in a wide assortment of materials. Pre-World War II cars will be on display. Old-time steam engines, antiques, and pony rides will help make this an event of special interest to people of all ages. The Renegade Cloggers will again perform during the day. Several quilting groups will be raffling their handmade quilts. It is hoped that Smokey Bear will make an appearance to celebrate his 70th birthday. Local service organizations will sell a variety of foods and drinks. 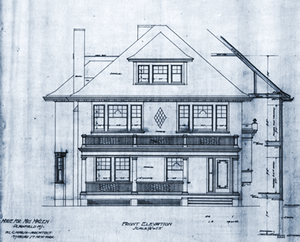 On Sunday at 1:15 pm, as part of the celebration of NJ350, Tom Dunn, Director of Archives and Museum Trustee, will lead a gallery talk entitled “Inventors in the Neighborhoods of Mahwah.” The talk will take place in the upstairs Gallery of the Mahwah Museum, 201 Franklin Turnpike, Mahwah, NJ. The talk is free with Museum admission. Based upon the records of the U.S. Patent Office and the archives of the Museum, this program will look at the accomplishments of inventors such as Robert Armstrong Smith, Howard Avery and Charles Ellis of East Mahwah, Fitzwilliam Sargent of the Depot; Edward Gorcyca of West Mahwah; and Henry O. Havemeyer of the Ramapo Valley. Reservations are suggested as seating is limited. The Mahwah Museum, 201 Franklin Turnpike, is open on Wednesdays and weekends from 1:00 - 4:00 pm and is featuring the exhibit “Neighborhoods of Mahwah: 1913-2013” and “Les Paul in Mahwah.” The Donald Cooper Model Railroad is open weekends from 1:00 - 4:00 pm. Admission to the Museum is $5 for non-members, and free to members and children. For more information, call 201-512-0099 or visit www.mahwahmuseum.org. On Sunday from 12:00 noon - 5:00 pm, the National Park Service and the Walpack Historical Society will present Van Campen Day at the Van Campen Inn. The day will include costumed reenactors and colonial crafts such as spinning, woodworking, blacksmithing, chair caning, lacemaking, and apple pressing for cider. A parade led by the Colonial Musketeers Fife & Drum Corps of Hackettstown will march north on the Old Mine Road at 12:30 pm to the marker memorializing John Rosenkrans, Colonel of the Sussex County Militia during the fight for independence. There, Gerald De Groat of the Sons of the American Revolution, Colonel John Rosenkrans Chapter, will speak on the life of Walpack's local hero. 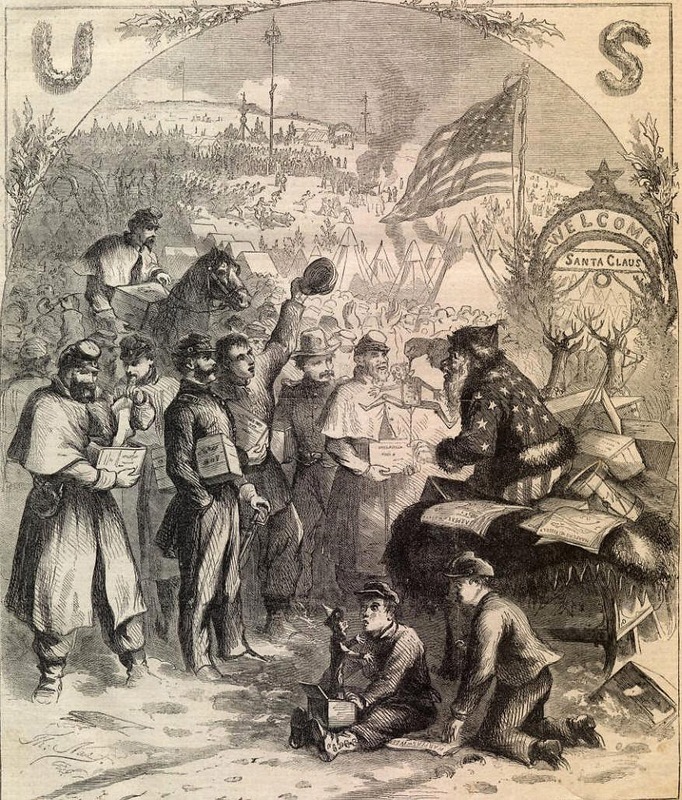 Myra Snook, historian, will lead a short hike at 1:30 pm from the Inn to the Shapanack, Clark, and slave cemeteries and the site believed to be Fort Shapanack, aka Fort John, headquarters for a string of forts along the frontier during the French and Indian War. Most of the forts were little more than fortified farmhouses. Some of these forts were again pressed into use during the Revolution. Costumed guides will provide tours of the inn throughout the day. The inn boasts some of the finest woodwork and hardware of its period and is believed to have been built in the 1740s. The Walpack Historical Society's book, Summer Knights Revisited, written by Robert Brandt, will be for sale for the first time. Brandt will be available to autograph his book, stories of his summers spent working as a farmhand at the Knight farm on the Old Mine Road in Walpack during the early 1950's. The book explores day-to-day life on the farm in great detail as well as the layout of the farm outbuildings. Today, only the Knight farmhouse remains. This event is free and open to the public. Coffee and donuts will be available. The Van Campen Inn is located on the unpaved section of Old Mine Road, Walpack Township, NJ within the Delaware Water Gap National Recreation Area. Van Campen Day is free and the public is invited. For more information, call 973-948-4903. Enjoy a stroll around the historic Dvoor Farm and learn about its history and the Hunterdon Land Trust’s present and future plans for the property at Sunday's Farmers’ Market. The Land Trust will also unveil its new free mobile app, an interactive map that anyone can download to explore all the organization’s preserves and share information about Hunterdon County’s best and most beautiful places. Viewers can add information about hiking or biking trails, wildlife, parking areas and local eateries, and share that information with their Facebook friends. The tour begins at 10:30 am in the parking lot behind the Dvoor Farm house. All participants are encouraged to bring their Smartphones or iPads. Anyone can access the interactive map by visiting www.hltcommunitymap.com. During the walk, Land Steward Tom Thorsen will discuss the Dvoor Farm trails, current plans for the land and demonstrate how to properly remove pesky invasive plants. An optional volunteer stewardship event will be held on-site following the walking tour. Walkers will also explore the property’s history with Director of Outreach and local historian Dave Harding. He’ll point out the location of Chief Tuccamirgan’s wigwam and original settler Johann Philip Cases’s log cabin, according to the most recent evidence, and offer an overview of the historic property’s past roles as a farm, tannery and mining operation. The tour will also spotlight the efforts to preserve this property in the 1990s largely through New Jersey Green Acres funding. The Land Trust’s Farmers’ Market hosts about 20 local farmers and vendors every Sunday through November 23 from 9:00 am - 1:00 pm at the Dvoor Farm, Route 12 circle in Raritan Township, NJ. Every week, shoppers can find a bounty of local grown, organic vegetables, grass-fed beef, artisan breads, cheeses, honey, pies, wine, plants and more. For more information, call 908-237-4582 or visit www.hunterdonlandtrust.org. Peachfield's October Showcase will focus on their china collection, featuring the Fish Dish, a Wincanton powdered manganese decorated delftware bowl circa 1738. Also on display will be a 1820-1830 Fitzhugh oval platter, a Nanking platter, and white porcelain cups and saucers. Tours will be available at 12:00 noon and 2:00 pm. Reservations are recommended. Admission is free. A free will donation is welcome in support of the museum. Visit beautifully restored homes that serve as a model for preservation and soak in the ambiance of the 18th, 19th and early 20th centuries. Now in its third decade, the Lambertville Historical Society's Autumn House Tour is a celebrated annual event for fans of history, architecture, interior design-and Lambertville itself! Last year, Forbes Magazine cited Lambertville as one of the country's prettiest towns and this summer Travel+Leisure magazine found it to be one of America's quirkiest. Whatever category you put it in, Lambertville is worth seeing - its beautiful homes and tree-lined streets always invite strolling. This year's tour includes five historic homes, some new to the tour, as well as seven additional sites. The tour is self-guided and this year will be on Sunday from 11:00 am - 5:00 pm. Tickets are $20 in advance ($25 on the day of the tour) and may be purchased online at www.lambertvillehistoricalsociety.org. Tickets may also be purchased at the Marshall House, 60 Bridge Street (weekends 1:00 - 4:00 pm) or directly from some local merchants (Blue Raccoon, City Market, Homestead Farm Market, Lambertville Trading Company, River Queen Artisans Gallery, Phillips' Fine Wines in Stockton, and Farley's Bookshop in New Hope). The event is held rain or shine. Free parking and shuttle bus service will be available on the day of the tour. The bus will continuously loop from the Lambertville-New Hope Rescue Squad parking lot behind the headquarters at 70 Alexander Avenue (off of Phillip-Barber Road) on to City Hall every 15 minutes from 10:30 am - 5:15 pm. Visitors can also park in residential areas or at parking meters that are in effect on Sunday from 1:00 - 9:00 p.m. For more information, contact the Society at 609-397-0770, e-mail info@lambertvillehistoricalsociety.org, or visit www.lambertvillehistoricalsociety.org. On Sunday at 1:30 pm, Chela Kleiber, a well-known Burpee Specialist, will present "Easy Herb Gardens for Beauty and Flavor" at the Holcombe-Jimison Farmstead Museum, Route 29 north of Lambertville, NJ. Ms. Kleiber's extensive experience with herbs will be reflected in her talk on which herbs serve multiple purposes for your kitchen garden and the basic types and uses of herbs. The cost for this program is $5.00 which includes a Q & A, handouts, a tour of the Farmstead Museum and grounds, including the international culinary herb garden, and refreshments. For more information, call Donna at 609-773-0495 or visit www.holcombe-jimison.org.